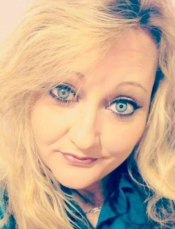 Georgia Renee Mitchell, 48 of Greenville, AL passed away on Sunday, April 7th 2019.She was originally from Pensacola, Florida. She is preceded in death by her mother, Shelbea Mitchell. She is survived by her Father George Mitchell; her 5 daughters Rachel Gentry and her husband Sonny Gentry, Tiffany Downey and her husband Justin Downey, Alexandra Farrington, Kassie Farrington, and Kelsey Peterson; 7 grandchildren, Sonny Gentry Jr., Peyton Gentry, Lane Gentry, Justin Downey Jr., Bryson Downey, Bella Farrington, Brayden Farrington; 2 brothers, James Miller and his wife Linda Miller of Greenville Al; and Michael Mitchell of San Antonio, Texas. We love and miss you soo much mom! Watch over us and guide is in the right direction. Until we meet again I will forever keep your memory alive. The family will receive friends for visitation at Memorial Gardens in Pensacola, Florida Saturday, April 13th from 10:30-11:30am with funeral service to begin at 11:30am. Eddie Pitman will officiate. I am so sorry for your loss. Renee was a great woman. I will always remember her for her big heart. Renee you will be missed by family and friends. RIP my friend. Renee was a wonderful lady and had a kind and loving heart. She was a great friend of mine long ago, and will always be remembered. To all her family, my heart is with you during this time. Her love and memories are what keeps her with you. She will always watch over you from above. And to her beautiful soul, my old friend, may you forever fly and walk with your momma; as you both stroll the streets of heaven,both smiling down on all your family and friends. I pray they know your love will always be there. Goodbye my friend.